Dokku is a great little tool. It lets you set up your own virtual machine (VM) to facilitate quick and easy Heroku-like deployments through a git push command. Builds are fast, and updating environment variables is easy. The problem is that Dokku includes all of your services on a single instance. When you run your database on the Dokku instance, you risk losing it (and any data that's not yet backed up) should your VM suddenly fail. Enter Amazon Web Services (AWS). By creating your database via Amazon's Relational Database Service (RDS), you get the benefit of simple deploys along with the redundancy and automated failover that can be set up with RDS. AWS, of course, includes other managed services that might help reduce the need to configure and maintain extra services on your Dokku instance, such as ElastiCache and Elasticsearch. I've previously written about managing your AWS container infrastructure with Python and described a new project I'm working on called AWS Web Stacks. 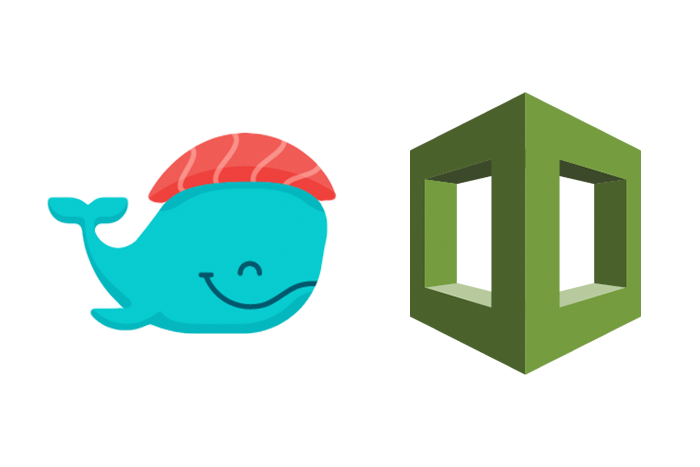 Sparked by some conversations with colleagues at the Caktus office, I began wondering if it would be possible to use a Dokku instance in place of Elastic Beanstalk (EB) or Elastic Container Service (ECS) to help simplify deployments. It turns out that it is not only possible to use Dokku in place of EB or ECS in a CloudFormation stack, but doing so speeds up build and deployment times by an order of magnitude, all while substituting a simple, open source tool for what was previously a vendor-specific resource. This "CloudFormation-aware" Dokku instance accepts inputs via CloudFormation parameters, and watches the CloudFormation stack for updates to resources that might result in changes to its environment variables (such as DATABASE_URL). The full code (a mere 277 lines as of the time of this post) is available on GitHub, but I think it's helpful to walk through it section by section to understand exactly how CloudFormation and Dokku interact. The original code and the CloudFormation templates in this post are written in troposphere, a library that lets you create CloudFormation templates in Python instead of writing JSON manually. First, we create some parameters so we can configure the Dokku instance when the stack is created, rather than opening up an HTTP server to the public internet. Description="Name of an existing EC2 KeyPair to enable SSH access to "
ConstraintDescription="must be the name of an existing EC2 KeyPair." Description="Dokku version to install, e.g., \"v0.10.4\" (see "
Description="Whether or not to enable the Dokku web config "
Description="Whether or not to use vhost-based deployments "
Description="CIDR block from which to allow SSH access. Restrict "
The AMIs can be located manually via https://cloud-images.ubuntu.com/locator/ec2/, or programmatically via the JSON-like data available at https://cloud-images.ubuntu.com/locator/ec2/releasesTable. The install_dokku and start_cfn_hup scripts are configured to run only the first time the instance boots, whereas the set_dokku_env script is configured to run any time any metadata associated with the EC2 instance changes. Want to give it a try? Before creating a stack, you'll need to upload your SSH public key to the Key Pairs section of the AWS console so you can select it via the KeyName parameter. Click the Launch Stack button below to create your own stack on AWS. For help filling in the CloudFormation parameters, refer to the Specify Details section of the post on managing your AWS container infrastructure with Python. If you create a new account to try it out, or if your account is less than 12 months old and you're not already using free tier resources, the default instance types in the stack should fit within the free tier, and unneeded services can be disabled by selecting (none) for the instance type. Alternatively, fork the aws-web-stacks repo on GitHub and adjust it to suit your needs. Contributions welcome.